First, I won't give a plot play-by-play, because there is too much to cover and I don't wish to spoil the experience by giving a book report. 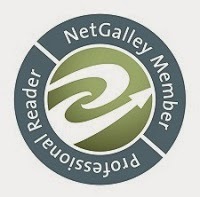 This is a spoiler-free review, sticking to characterization and writing style. 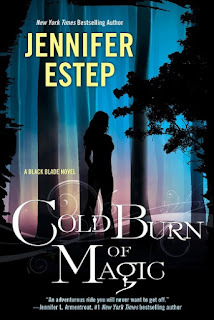 I've never hid the fact that I was an Estep fangirl after finding her years ago. The Elemental Assassins series is unique and Gin is...Gin. (Now I want to do a reread) With that series, I developed a taste for Jennifer Estep's writing style. The women are strong characters, not thinking themselves strong in their own heads while putting themselves in sticky situations they can't get out of, expecting help from their love interest. The girls get the job done themselves. They take the lead. 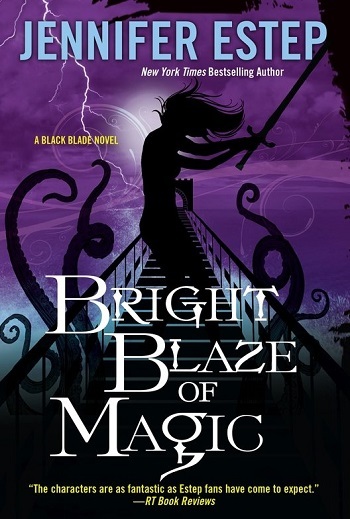 So, needless to say, when I began the journey of the Black Blade series, I fell in love with Lila because she was flawed with perfectly crafted human traits. Over the past three books, I've watched the characters grow, the story evolve, and Victor get more villainous. The final installment of the Black Blade series has arrived. Knowing this at the start of the book made the journey bittersweet as I said goodbye to the characters. There's an addictive quality to the story, thrilling and exciting – adventurous but a little bit brutal with unexpected humor to soften the blow. It was a nonstop action thrill ride to close out the series. After the previous books, Lila and Devon are together, so the romance is underlying to the main story, which I appreciated the fact that it didn't overshadow what had been built. Yes, some of the obvious outcomes were predictable, but this is a young adult book designed for young adults, and I'm an adult who enjoyed in nonetheless. And yes, that is my fangirl bias showing in the form of common sense. To make it so ‘I’ couldn't reason out the conclusions, would mean children wouldn't be able to read it...just saying. Nevertheless, the flow was so rapid, it's not like the reader had any filler to wade through while contemplating the plot. I recommend this series to young adults and the young at heart who enjoy the fantasy genres, who need a thread of romance but want a developed story more. Will I read more by this author? I look forward to whatever Estep brings us next. Young adult rating: 14+ due to violence set in a fantasy world. 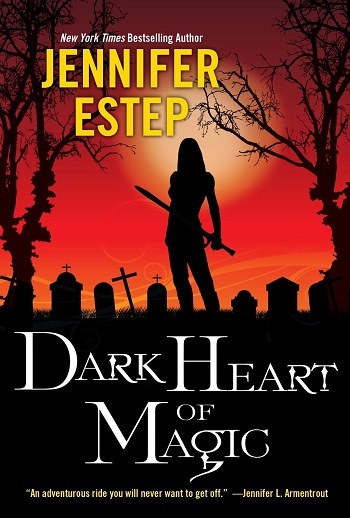 For reviews & more info, check out our Dark Heart post. 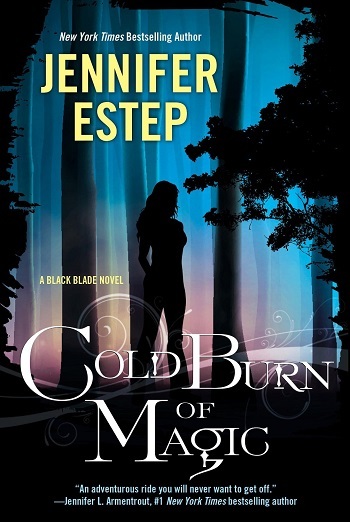 Reviewers on the Wicked Reads Review Team were provided a free copy of Bright Blaze of Magic (Black Blade #3) by Jennifer Estep to read and review.